The National Association of Block molders of Nigeria yesterday began a five-day warning strike over the increasing price of building construction materials such as granite, cement and others. President of the association, Rasco Adebowale, says the strike action will among other things, afford them the opportunity to review the price of blocks to reflect the new prices of the building construction materials. 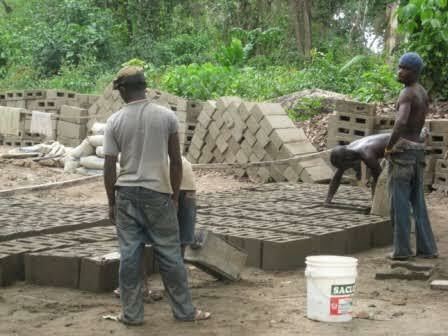 According to the moulders, there have been a 50% increase in the price of raw materials they use in moulding blocks particularly cement which went from N1,600 to N2,300 last week. They say the price of cement is as high as N21,350 in some places that are not easily accessible.